Home Games Tekken 7 has now sold over 3 million copies worldwide! Tekken 7 has now sold over 3 million copies worldwide! That puts the whole Tekken series at over 47 million copies sold! Released last year, Tekken 7 is an unqualified success for Bandai Namco. Not only does it have a large and healthy esports scene, it’s also a top-seller! Tekken series producer Katsuhiro Harada recently announced on Twitter that the game has now sold over 3 million units worldwide. This is great news not only for fans of the series, but also for the fighting game community as a whole, as this proves that fighting games are far from niche titles. Tekken 7’s success sales-wise shouldn’t come as a surprise for gamers who follow the fighting game scene. The game is usually one of the biggest (if not the biggest) draws of any fighting game tourney worldwide. 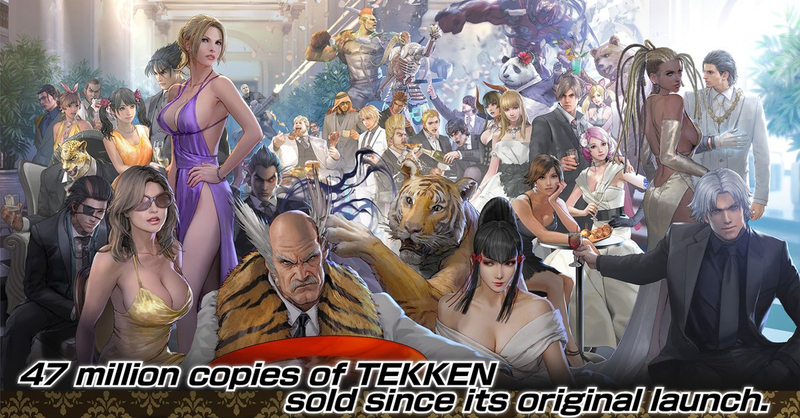 Because of the game’s sale count, the Tekken series as a whole now has over 47 million copies sold worldwide. While Tekken 7’s 3 million sales is impressive, it’s still far from the bestselling Tekken title; that honor goes to Tekken 3 which has sold over 8.3 million copies in its lifetime. Tekken 7′ success probably won’t stop here though, as the game continues to receive DLC such as the new characters for Season 2 pass holders. As of now, the latest DLC characters are Anna Williams and Lei Wulong, with three more coming soon including (for some reason) The Walking Dead’s Negan! Previous articleGIVEAWAY TIME | Get to win tickets for ESGS 2018 this weekend!